The schooner Klara Marie from Skillinge moored in Killinge. 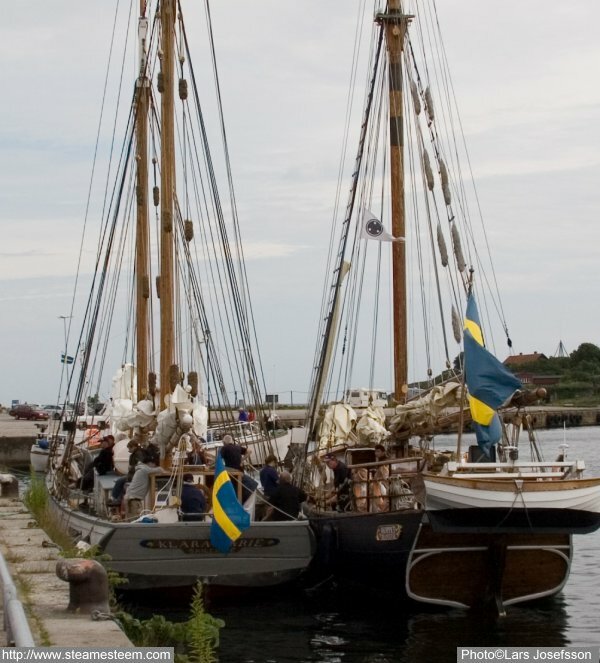 The yacht Hoppet from Brantevik and the schooner Klara-Marie moored in Karlshamn. 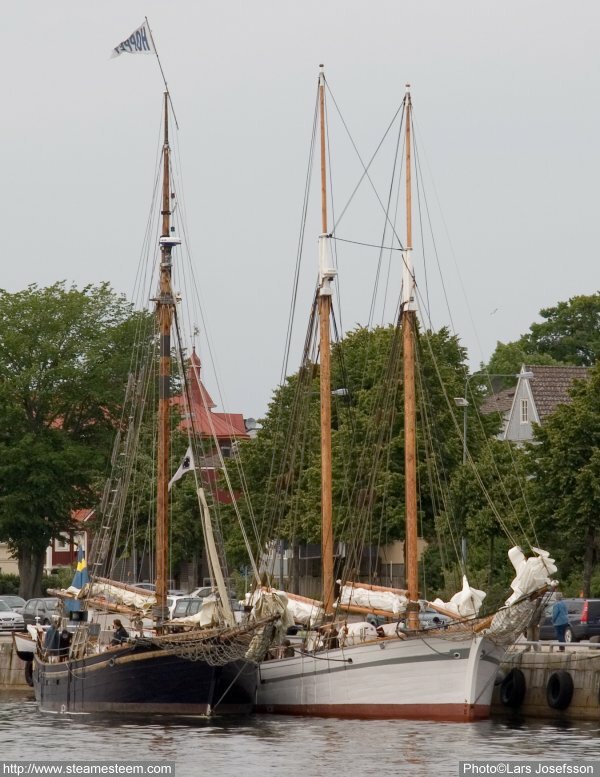 The scooner Klara Marie was launched in 1884 in Rønne, Bornholm, Denmark. She was a fast sailing cargo runner between Bornholm and Copenhagen. 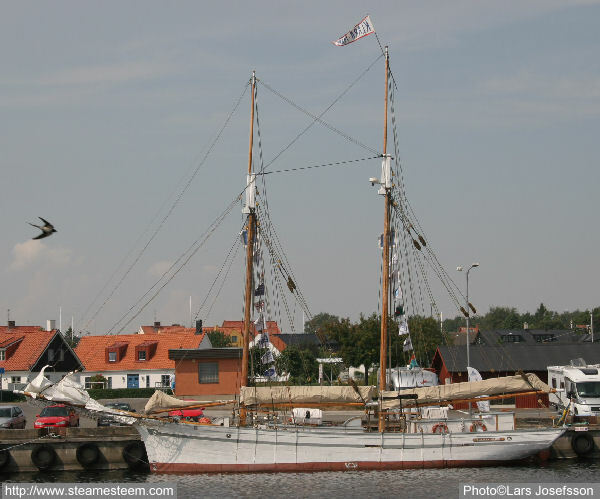 This type of ship was called "Bornholm Clipper" and she is the only remaining vessel of its kind.